YORKSON CREEK!! 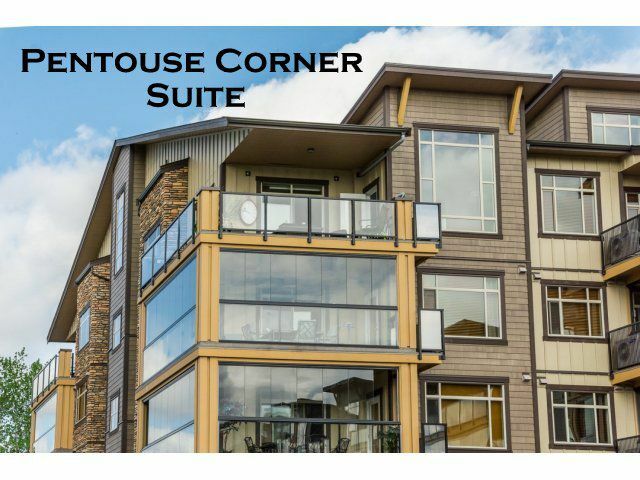 PENTHOUSE, CORNER UNIT, SOUGHT-AFTER PLAN! Executive 2 Bd/2 Bath + Flex Room with Awesome Vaulted Ceiling, Huge Windows, Spectacular Wraparound Balcony & Southeastern Exposure is like no other on the market! Features a gourmet kitchen with granite countertops, soft-close raised wood cabinets, S/S appliances, USB power outlet, heated floors & mirrors in bathrooms, multi-zone A/C & Heat pump, 2 Parking Spaces (1 for handicap) + over-sized heated storage unit (w/power) conveniently located adjacent to one of your parking spaces . Upgrades: Dimplex electric Fireplace, Closet Organizers, Frigidaire W & D, Tile & Wood flooring throughout, raised toilets, ceiling fans, retractable screen door. Centrally located to schools, shopping, & community centre! Don't miss out!